Oh, I like the light on dark, and the coloured circles and rings really pop! The gel pens worked nicely on this. Very striking on black! For shading on black I use a white charcoal pencil or a zenstone. 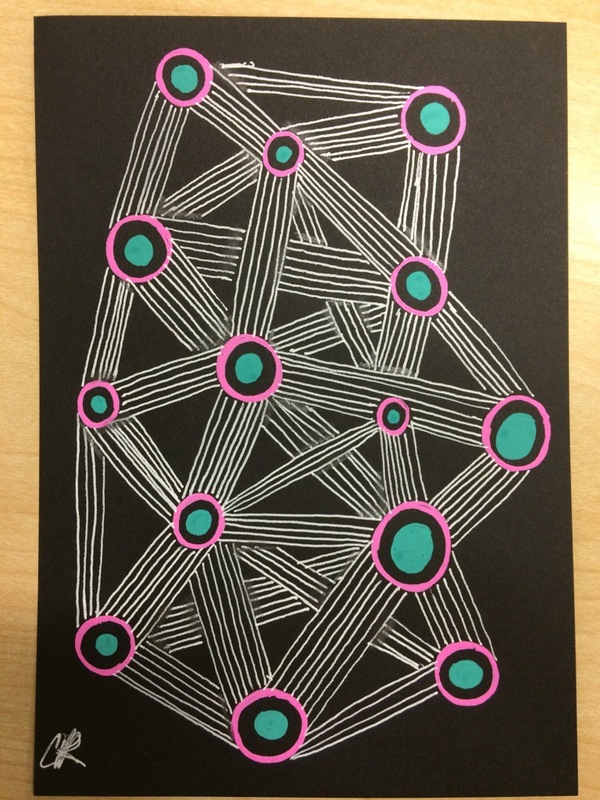 Maybe nice to look at teh Zentangle newsletter of august last year. Love the pops of colour. I use white charcoal pencil to shade on black, but I don’t do much work on the black tiles.